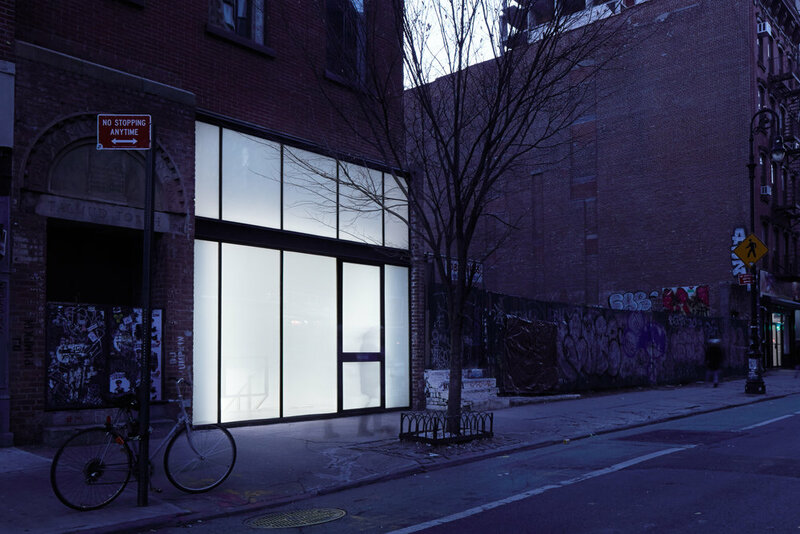 Charlap Hyman & Herrero redesigned a two-floor space in the Lower East Side for the Parisian gallery Christian Berst Art Brut. Through the front windows, frosted in a gradient from opaque at top to transparent at bottom, passers-by can see the name of the gallery tiled into the floor on the other side of the glass. The space celebrates structural elements of the existing, historical building while referencing Parisian industrial modernism of the 1920s.